We human beings, animals endowed with reason, have never been able to accept death . . . But reality is inescapable; daily life proves that the body is ephemeral, perishable, and that it dies and returns to dust. Hence, the idea has been developed and expressed--with more force or less force and clarity, depending on place, era, and ethnic group--that we are more than the body; that the body is only the physical encasing of the vital principle, the breath, a force, a spirit--in a word, a soul. . . Ancient Egyptian religion speaks to us about the Ka, the Greeks speak to us of the daimôn, the Romans teach us that every man has a genius and every woman an Iuno, Christianity gives us a guardian angel, ancient Scandinavians knew the fylgja. It would be futile, without a doubt, to aim at discovering a genetic connection between all these examples from all these civilizations, but . . . Is not this belief attested to by all eras, in all parts of the world? Indeed, a gap remains to be filled where the medieval West is concerned. The clues are there, but we have not been able to see them--hidden, distorted, and masked as they have been, as has been everything that contradicts the dogma of Christianity, the West’s dominant religion. . . It is by playing with differences in evolution, which in the Middle Ages contrasts Germanic civilization with Roman and Celtic civilizations, that the inquiry can be led to safe harbor.
. . . In taking a look at the peoples with whom the medieval West was in permanent contact--through commercial exchange, wars, invasion, or simply from being neighbors--I have been able to discover the root of the belief in the Double, and, taking this further, to see that this root is squarely planted in shamanistic concepts of the soul. My goal is simple: to write the history of the Double in the Middle Ages, to show the mindset in which this belief is rooted, to see in it both diffusion and continuity, and to discover the implications of this. . . . We will start, therefore, from events universally known--visions both Christian and pagan--then we will look at how these can be explained. Second, we will follow the Double in all its diverse fictional and historic disguises, which will lead to an examination of fairies, witches, and werewolves. Finally, we will take up related appearances of this belief. . . If we examine cultures and civilizations that were late in being Christianized and were isolated from great historical events because they existed at the edges of the so-called civilized world (for instance, on the steppes of central Asia, on the tundra, and on the taiga)--cultures that have therefore preserved elements of genuine archaism, one of which, first and foremost, is shamanism--we may reconsider strange and unusual phenomena that were once considered demonic by clerics and marvelous by pagans and that became ensconced in medieval literature. So man possesses Doubles, most often two of them. One, material and physical, has the power either to take on animal appearances or keep its human form; the other, spiritual and psychic, is also capable of metamorphosis, but appears mostly in dreams. These Doubles have the ability to reach the other world--or any place whatsoever in this world--in one or another of their forms, as soon as the body has been put to sleep, sent into a trance, or made to fall into catalepsy. It is difficult to distinguish precisely between the physical alter ego and the psychic Double, given that even our distant ancestors confused them, as has emerged from the evidence gathered over the course of this inquiry. Every ethnic group and every civilization thought of the Double in its own way, but within the geographic area we are working with here, all evidence seems to indicate that the foundation common to all forms of this belief is shamanism. Death liberates Doubles; the physical alter ego yields a ghost, and the psychic alter ego is transformed into a phantom. Both conserve their capacity for animal metamorphosis, but one manifests itself in dreams and can function as nightmare, while the other appears in reality, as a material being. Nightmares and form changing can also be the result of actions of the living; both have been attributed to witches. In such cases the travels of the Double to the next world--either to deceased ancestors or to spirits and gods--are secularized and demonized, becoming the nocturnal flights of evil-intentioned women . . . The Double does not die with the body. This is the explanation for phantoms and ghosts and the root of necromancy. 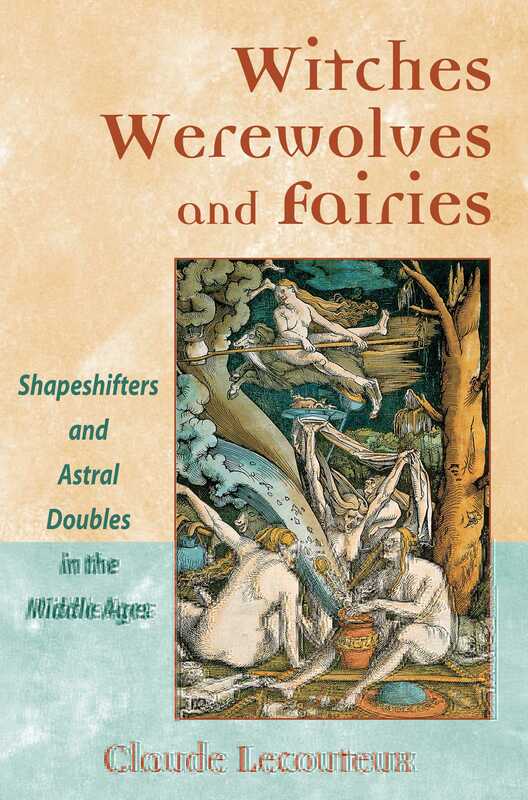 The Double is capable of changing into other forms, which is the origin of accounts of werewolves and animal metamorphoses. The Double becomes independent once the body is at rest, and it may leave either to go about its business or to fulfill the desires of its possessor. This is the explanation for witches’ and magicians’ nocturnal and diurnal journeying and for saints’ and mystics’ ecstatic journeys. Everyone is familiar with the theme of travels to the next world, whether it concerns descending to hell, traveling into the land of the fairies, entering a hollow mountain, or visiting places of atonement, as did Aeneus, Dante, Tondale, and Thirkill. The Double, in these cases, has very often disappeared when faced with the soul (which is the Christian perspective) or when faced with the body--as in the legend of Orpheus, one of the most ancient testimonies of shamanism’s influence on the formation of such tales. And no one is unaware of the metamorphosis experienced or cited during the era of the great witch trials, or of the theme of the witches’ sabbath, the last incarnation of the ecstatic journey. "One of those rare delights, a book as readable as it is scholarly on a subject appealing to general readers." "...an important academic work that throws new light on historical accounts of witchcraft, the supernatural and the spirit world." "Surprisingly, and despite the consistently scholarly tone, Lecouteux treats his subject with unmistakable sympathy and enthusiasm. He contrasts traditional beliefs about the soul with those imposed by Christianity and clearly favors the former."